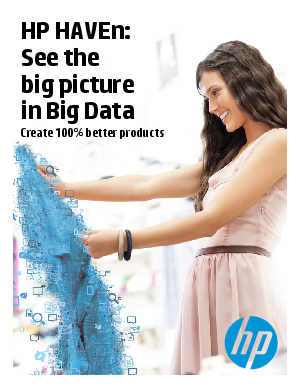 HP HAVEn is the industry’s first comprehensive, scalable, open, and secure platform for Big Data. Enterprises are drowning in a sea of data and need a trusted partner to help them. HP HAVEn has two primary components: a platform and an ecosystem. Together, the platform and the ecosystem provide the capability to handle 100 percent of your enterprise data—structured, unstructured, and semi-structured—and securely derive actionable intelligence from that data in real-time.